Italy prop Carlos Nieto made his debut against England during the 2002 Six Nations, but initially struggled to secure a regular place in the international squad. In 2005 he was recalled into the international setup by Head Coach Pierre Berbizier for Italy's summer tour to Argentina and Australia. Following the tour Nieto enjoyed his best spell of form in an Italian shirt during the 2006 Six Nations. 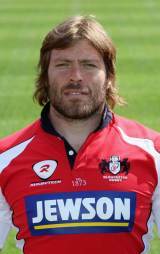 Following the tournament he made the switch from Italian Super 10 outfit Viadana to Guinness Premiership side Gloucester. Nieto continued to impress both at club and international level, playing through the 2007 Six Nations but did not feature at the 2007 World Cup due to injury. He returned in Italian colours during the 2008 Six Nations, playing against England, Scotland and France before playing in both Tests of Italy's summer tour to South Africa and Argentina. Nieto was last in action for the Azzurri during the 2008 autumn internationals, playing against Australia, Argentina and the Pacific Islands.